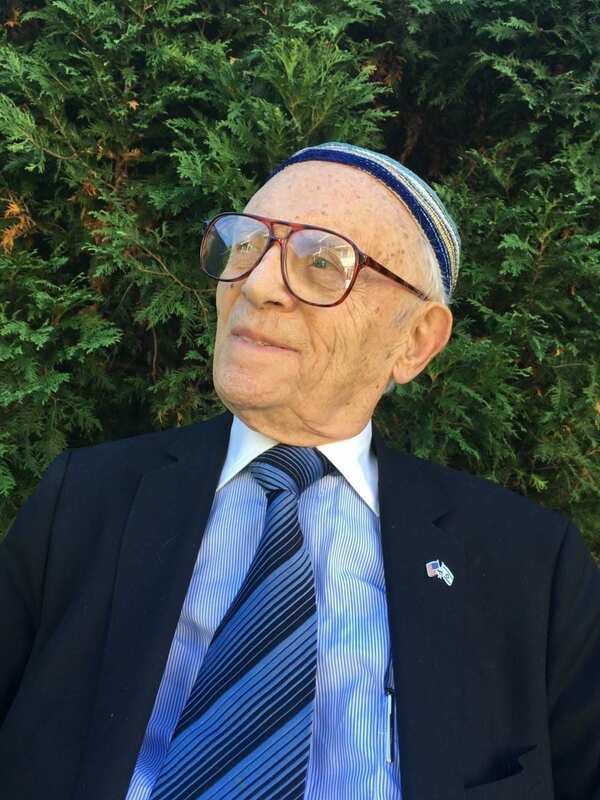 96-year-old Jacob Eisenbach will speak Feb. 17 at 7 p.m.
HOUSTON — (Jan. 31, 2019) – An estimated 500,000 survivors of the Holocaust were still alive in 2014. Today, experts believe that number has dwindled to 100,000. The rapidly declining number of people left alive to testify to the horrors of the Holocaust makes those remaining voices increasingly important as the world continues wrestling with genocide, bigotry and incidents of anti-Semitism. At 96 years old, Jacob Eisenbach is one of those remaining voices. The lone survivor of a Polish family victimized by the Nazis, Eisenbach eventually escaped to California, where he worked as a practicing dentist until the age of 92. Today, Eisenbach is a public speaker, and he will give a talk at Rice University Feb. 17 in Duncan Hall’s McMurtry Auditorium, 6100 Main St.
Chabad has partnered with Rice’s Boniuk Institute for Religious Tolerance, the School of Humanities and its Program in Jewish Studies, Houston Hillel and other departments across the university to bring Eisenbach to campus. 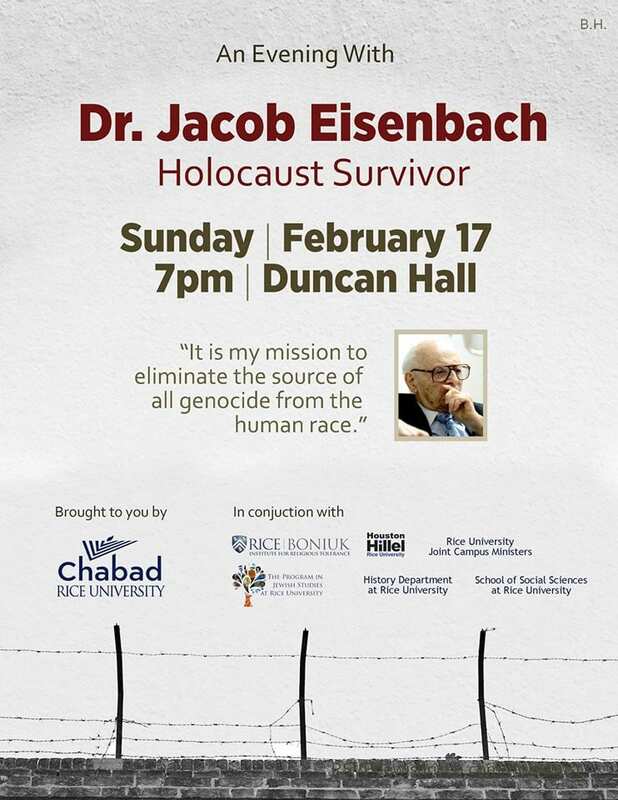 His talk at 7 p.m. will explore Eisenbach’s mission to eliminate the source of genocide from the human race. It is free and open to the public; attendees are asked to RSVP at the event’s Facebook page. For more information, contact Katharine Shilcutt, media relations specialist at Rice, at 713-348-6760 or kshilcutt@rice.edu.